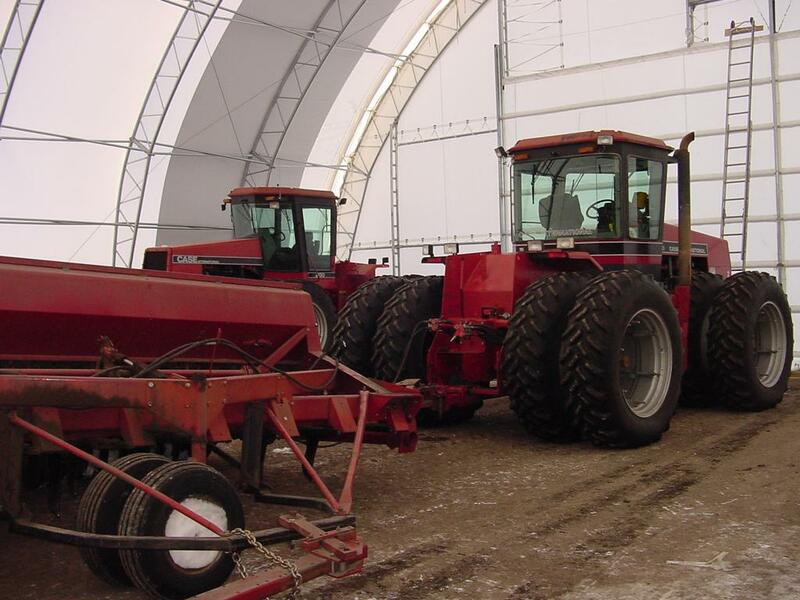 Farm equipment needs to be properly maintained and stored in a dry, climate-controlled storage facility after harvest to ensure longevity of the machinery. Hello, and welcome to our video blog! Farming equipment needs to be placed in an area protected from the elements that also provides enough space for you to work on and maintain the engines of your machinery. A fabric building from Winkler Structures is the perfect solution as it can be designed to meet your unique needs. It keeps rain, sleet and snow out of the space. In addition, the cover allows in natural light, so individuals can have a bright working environment as well as energy savings.